All of the organic facial treatments are carried out using our trusted brand, Neals Yard Organics, offering the finest of cosmetics using natural and organic ingredients. Find out more about Neals Yard products and what they don’t contain. 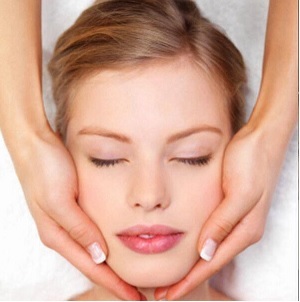 All of the Organic facials last 60 minutes and cost £32.00. Replenish your skins natural moisture levels and protect it from future moisture loss. Soothing damsak rose soothes, treats redness and reduces inflammation. Soothe sensitive skin with this Omega 6 rich facial. Perfect for dry, itchy, or irritated skin types. Starflower is also extremely gentle for those suffering from eczema and dermatitis. Regulate oily prone skin. Palmarosa is known to balance and mattify the skin whilst still leaving the skin hydrated. Wake up tired skin and give your complexion a glow! This gorgeous scented ingredient refreshes, tones, and maintains your skins natural moisture levels. Naturally slow the signs of ageing with the help of frankincense. This treatment protects and strengthens skin cells, prevents wrinkles whilst lifting, toning and tightening the skin. It smells lush!